Die Casting Aluminum Heat Sink Castings. What is an aluminum heat sinks? They are usually fastened to electronic devices like those with integrated circuits to release heat when it is working. With that said, heat sinks need to have a wide surface area which will determine their capability to dissipate the heat. The methods for making Aluminum Heat Sinks Die Castings may from different manufacturing companies. But there are basic steps involved. In making a heat sink, the mold should have at least one cavity that matches up to the exact form of the article. This allows ambient gases from the mold to be evacuated, although not completely. While the mold is at least partially removed from the article, this fills the mold with thermally conductive casting material. This also hardens the material entered into the mold and resultant molded heat sink will be taken off. Those are the basic steps in making a heat sink. Going back to the first step, it basically means that one should have a mold that has cavities closed at a single end. This will correspond to the heat being dispelled at the surface of the heat sink. The ambient gases will be removed, but not completely, because that single closed end will create a vacuum to the open end. Contact Kinetic Die Casting Company to get a price for aluminum die casting parts or die casting tooling, call toll free 800-524-8083 and ask for sales. 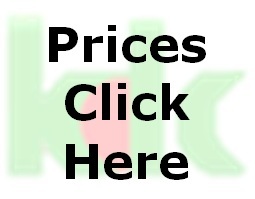 Or email us at sales@kineticdc.com for a fast response on a price quote.